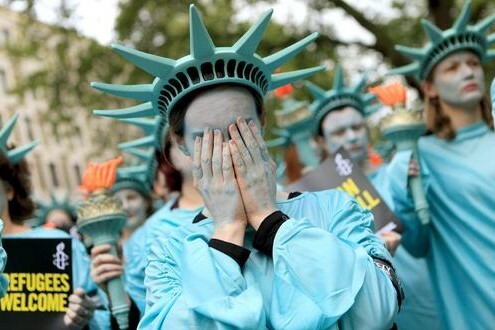 The Trump administration’s executive order on travel would harm both immigrants and US citizens if allowed to enter into effect, warned huamn rights NGO Amnesty International in a briefing paper released. The paper – “My family was in shock”: The harm caused by President Trump’s executive orders on travel to the USA – describes the human cost of the executive order, which separated families, disrupted carefully laid plans, and caused enormous emotional anguish. The controversial ban is scheduled for a federal appeals court review on Monday 15 May, and Amnesty have called for a thorough judicial review. The briefing paper, a joint initiative of Amnesty International and the CLEAR project (Creating Law Enforcement Accountability & Responsibility) at CUNY School of Law, describes how the travel ban imposed by President Trump is contrary to international human rights law, violating treaties the US has committed to uphold. Based on interviews with more than 30 people affected by the ban, it includes a dozen case studies of the harms caused to individuals and families from Yemen, Iran, Sudan and elsewhere. The first executive order was only in effect for a week before it was blocked on a nationwide basis by a federal court in Seattle, a ruling that was upheld on appeal. Even during that brief period, the order succeeded in wreaking havoc on people’s lives. Revisions to the original order have not eased the confusion. The briefing paper was created from interviews with people directly affected by the ban. Fearing that his family would be permanently barred from the US because of their Yemeni citizenship led Baraa H. (not his real name) and his wife to leave their baby daughter in Malaysia, in the care of friends. “It was a very cruel choice,” Baraa told Amnesty International, but one that he felt was forced upon him. The briefing paper also describes the situations of people who are still awaiting US visas, some of whom could be irreparably harmed if the US courts were to rule that the second executive order is constitutional. When the first executive order was in effect, law students and attorneys at CLEAR provided legal advice to scores of immigrants and refugees who were stranded abroad, on their way to the US, or detained at US airports. Its staff referred some of these people for interviews by Amnesty International to document the impact of the executive order. The Court of Appeals for the Ninth Circuit will hear arguments in a challenge to President Trump’s executive order on Monday 15 May. On Monday 8 May, the Court of Appeals for the Fourth Circuit heard arguments in a parallel challenge. Together with a group of law professors and nongovernmental organisations, Amnesty International filed an amicus (friend of the court) brief with both courts. The President's travel moratorium was, at best, poorly thought out and poorly executed, and indeed cause inconvenience to many, including lawful holders of visas. That being said, the President is well within his rights to attempt to keep those in the United States safe, including our visitors and those born abroad, refugees included. Of course the moratorium is construed to be "anti Muslim." If the threats were originating from Italy, would not a similar plan be criticized as "anti Catholic?" As for the Iranian transsexual seeking asylum, it is neither his or her right, under our constitution, to be guaranteed timely resettlement, nor is it the moral burden of the American people to embrace this agenda. This example of the transsexual has been brought up before, and is the moral equivalent of "fat-shaming" the American people. We are and will continue to be a nation of immigrants, but we cannot allow those with agendas and those from outside our country to dictate the circumstances and timeline of those being resettled or granted entry. 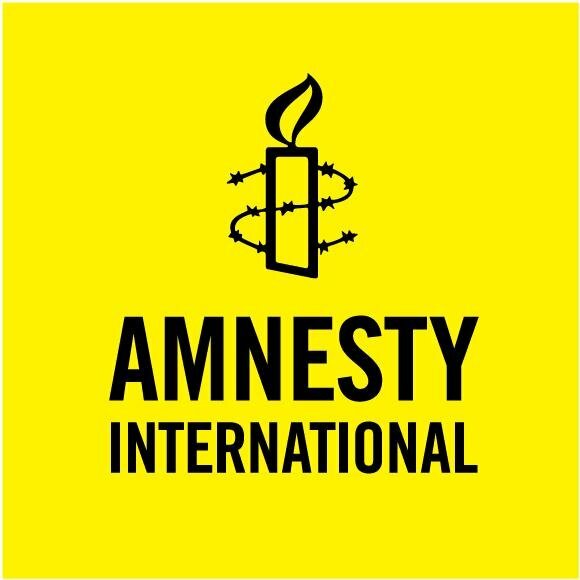 Amnesty International, an esteemed organization, would be better served pressing the governments of Iraq, Iran, Syria and the like to improve the horrific conditions under which their citizens live, so that they might enjoy the familiarity of their own lands in safety and security, instead of expecting the United States to somehow miraculously remedy the situation of oppressed people around the globe.